The 22nd Pianovers Meetup this week came earlier than anticipated. With a generous offer of a complimentary Western-style buffet, original plans for the 8 January 2017 were brought forward to the 22 December 2016, at an exciting new location to add! 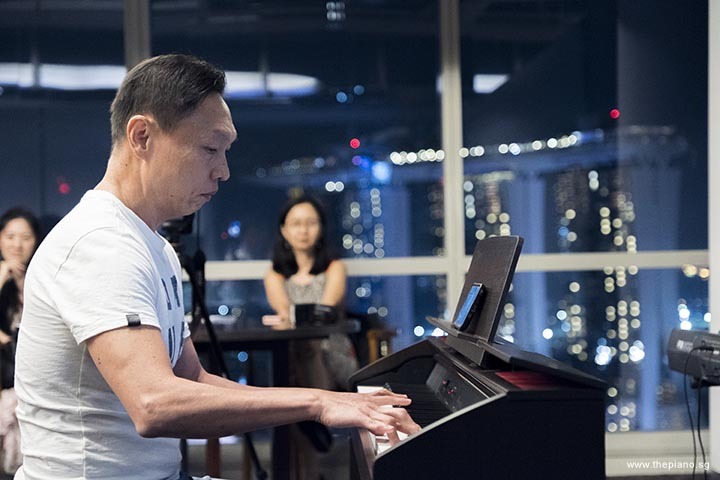 The exclusive The Sail @ Marina Bay warmly opened the doors of the Sky Terrace function room to ThePiano.SG for us to usher in Christmas and the new year with the 22nd Pianovers Meetup. The location itself has two towers, the Sky Terrace being located on the 44th level of the Marina Bay Tower. 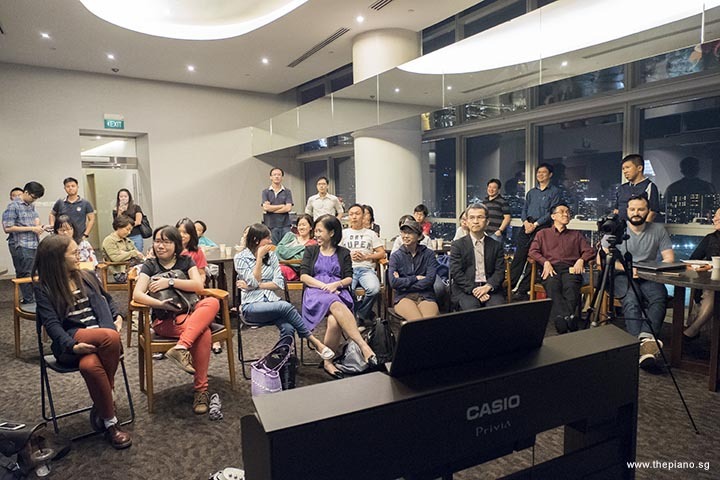 Jiaquan, who first attended Pianovers Meetup #21, was so enamoured by the events that took place that he offered to play host to the Meetup at Sky Terrace, and even treated us to the scrumptious spread. The response to a last minute decision to host another Meetup before the new year was surprisingly greeted with plenty of excitement. 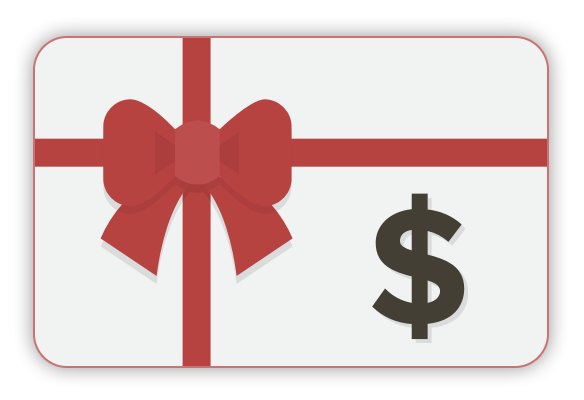 Within a day of it being announced, slots for the event immediately started filling up. 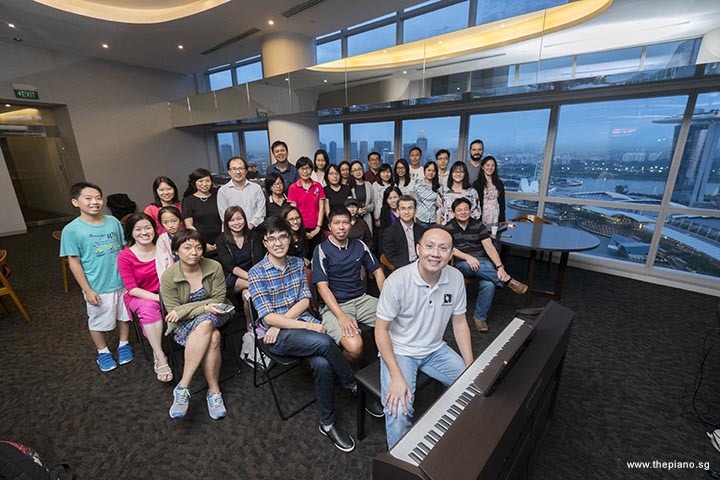 The beautiful Casio CELVIANO PX-860 piano that the Pianovers saw at Sky Terrace was provided by none other than the kind folks at Absolute Piano, and personally delivered by Jasmond, their friendly staff. Apart from the the Casio piano, there was also a Korg keyboard, brought along by Zensen. 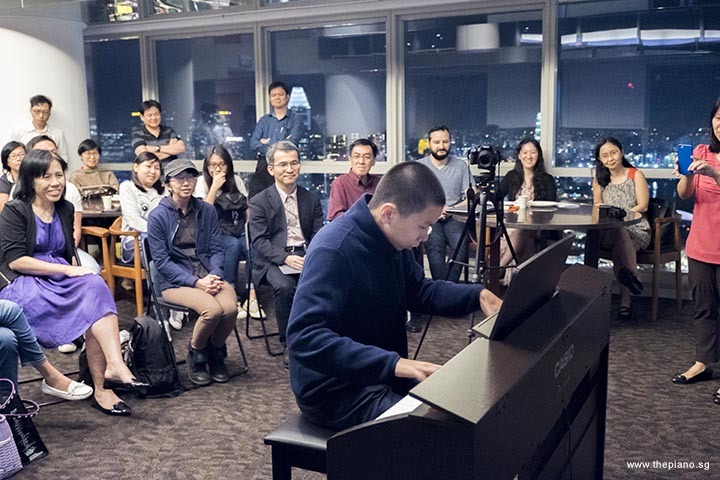 Pianovers started to pour in at 6:30pm, and with the last seconds of daylight falling on the beautiful island skyline, Pianovers were clamouring to snap photos from the 44th-storey vantage point. Dinner followed shortly after. 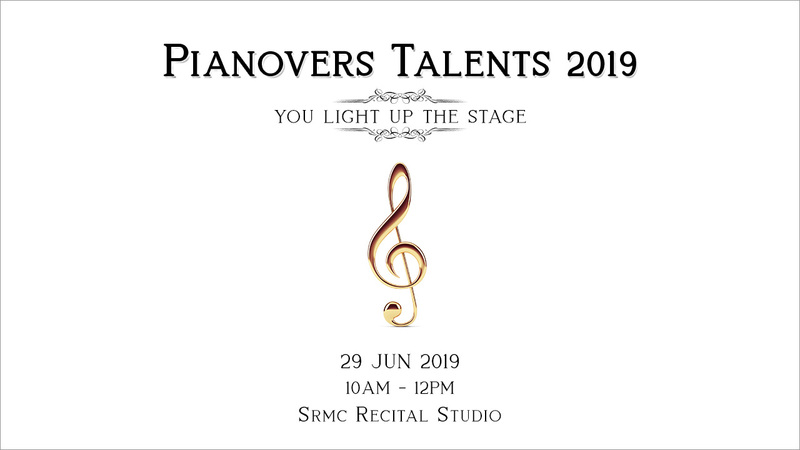 As usual, the Pianovers were treated to a short slide presentation of the vision for the Pianovers Meetup before the Registered Players Segment began: an opportunity for piano lovers to come together, play together and build a bond within the piano community of Singapore. Starting the segment with a bang were Vanessa and Mitchell, delighting with an all-time favourite Let It Be by The Beatles. “Let it Be” was the last single Paul Mccartney wrote and sang as part of the band. It hit number 6 on the Billboard Hot 100, the highest debut single when it was released in March 1970. The song also has an alternative mix for the title track for the album of the same name. Next was Siew Tin, who is known for her picks of Mandarin classics. She played 甜蜜蜜, originally sung by 鄧麗君 (Teresa Teng). Newcomer Paul Seow played two songs, March of the Dwarfs by Edvard Grieg and La Fille aux Cheveux de Lin by Claude Debussy. “March of the Dwarfs” is a piece from Book V of Grieg's Lyric Pieces, a collection of 66 short pieces for solo piano. It was written by Edvard Grieg and appeared as a series of 10 volumes. “La Fille aux Cheveux de Lin” is the eighth piece in Debussy’s first book of Préludes, written between late 1909 and early 1910. Translated, the title loosely refers to "The Girl with the Flaxen Hair”. Regular Pianover Chris Khoo played a medley of Christmas songs, which had some of the Pianovers singing along softly. The medley included songs like Angels We Have Heard On High, O Come, All Ye Faithful, Joy to the World, Hark The Herald Angels Sing and Hallelujah Chorus. Chris Lee, treated us to Liebestraum No. 3, by Franz Liszt. Liebesträume (German for Dreams of Love) is a set of three solo piano works. Liebestraum No. 3 is the last of the three that Liszt wrote, and the most popular. This was followed by Isao’s performance of Merry Christmas, Mr. Lawrence, by Ryuichi Sakamoto. This piece is from the soundtrack of the movie “Merry Christmas, Mr. Lawrence”, released in 1983 and won the film a BAFTA Award for Best Film Music. 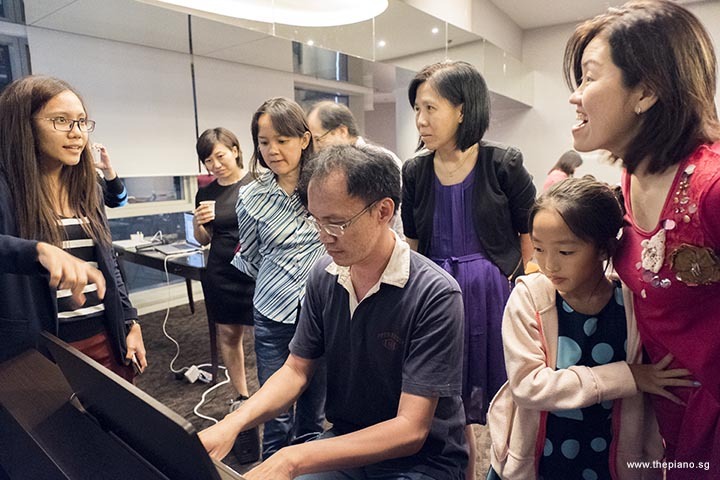 Corrine played This Love, the theme from a 2016 South Korean hit TV series and widely popular across Asia, “Descendants Of The Sun” and the Star Wars theme, by John Williams from the popular Star Wars franchise. The latter was a fitting piece as “Rogue One: A Star Wars Story” was recently released in theatres. Christopher Tay played May Be, by Yiruma, the South Korean pianist and composer, who will be holding a concert in Singapore on 25 Feb 2017. 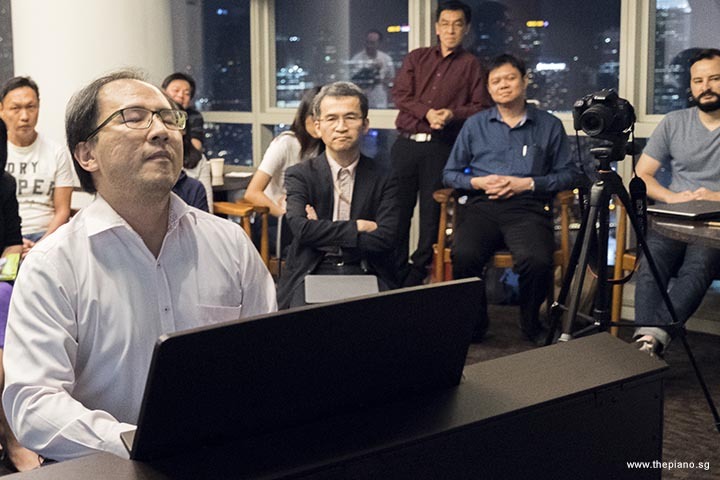 Steven Tan played three songs, including two S.E.N.S. pieces, Be As You Were When We Me and Like A Wind. S.E.N.S. 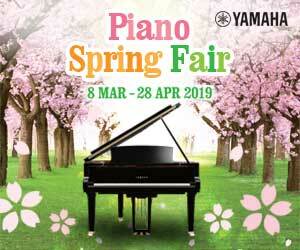 is a Japanese new age instrumental group whose name stands for "Sound, Earth, Nature, and Spirit”. It was formed in 1988 with two members, Akihiko Fukaura and Yukari Katsuki. Steven’s final song was Have Yourself a Merry Little Christmas by Hugh Martin. The piece revolves around a scene in the movie “Meet Me in St. Louis”, set in 1904, where an older sister comforts her little sister about their dad leaving town for Christmas by singing the song to her. Following that was Gladys, who treated us to “Misty”, a jazz piece by the pianist Erroll Garner written in 1954 and “Old Fashion”, composed by Olivier Toussaint and famously performed by Richard Clayderman for his debut album, named after himself, in 1977. A Boogie-Woogie piece, “Old Fashion” remains rare today, though other tracks from the same album have been released around the globe. William played I Believe, from the 2001 South Korean romantic comedy film “My Sassy Girl”. Nadrah ended The Registered Players Segment with two songs, an alternative piece Sometimes I Just Go For It by The Used, an American rock band formed in 2001, and a heartwarming original composition, Will You Be There in remembrance of her late pet cat. She shared that the composition was in part inspired by Yiruma's “River Flows In You”. After Nadrah ended her beautiful set, it was time for The Open Segment, where Pianovers gathered around the two pianos for a chance to jam or just to watch the musical magic unfold. The last of the food from the buffet as well as some food brought along by Pianovers were passed around and enjoyed by everyone. The Pianovers Meetup #22 officially came to an end at 10pm, with spirits high and bellies filled. 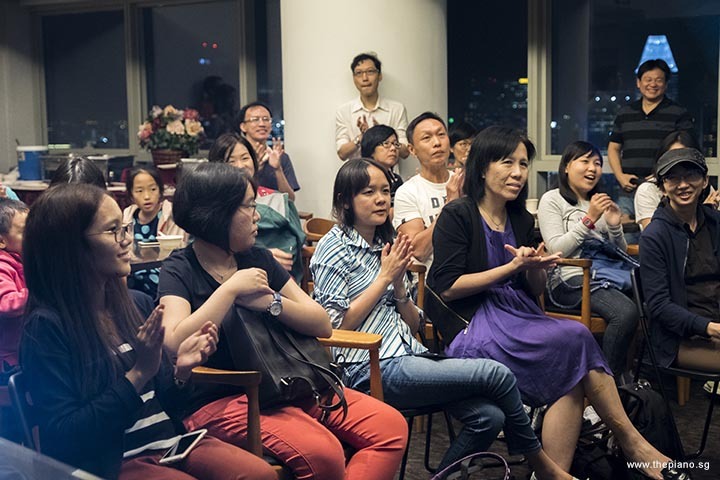 A special thank you goes out to Jiaquan, for providing the amazing venue and food, Corrine and Janty who bought the polo shirts, and lastly Gee Yong, Audrey, May Ling, and Siew Tin who helped Yong Meng with the packing of equipment and transporting them to his car. I am not immune to the lure of a signed record, flier or set list. The fact that your music heroes potentially had, in their own hands, the record you now have in yours is kind of cool. When the musician has departed, it can give the thing a unique power.